I have one of these units. I wish that there was a way to get the tracking generator to go below 400Mhz as it would be a really useful instrument. Does the GPS feature work on yours? 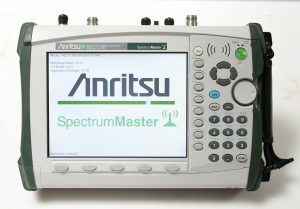 I also have a Anritsu MS2626A that goes to 6.5Ghz with a TG that I believe covers the full frequency range but I have not had the chance to pop it open as it has issues and will not self cal. I have yet to find a manual for it. It would make a great tear down and repair video. It looks to be the same generation as the HP 8590 series. So if you or one of your subscribers happen to know about this instrument I would love to get it going. I really enjoy your in-depth videos. Great videos, both on the MS2721A and MS2721B.